Jonathan Darer, MD MPH joined Medicalis in October 2015 as Chief Medical Officer, bringing with him over 10 years of healthcare innovation experience. 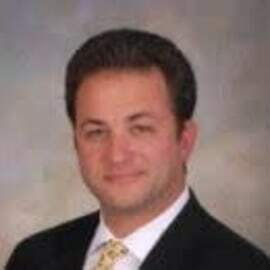 The former Chief Innovation Officer and Director of the Center for Clinical Innovation in the Geisinger Health System, Jon led the development, implementation and evaluation of initiatives in health information technology, clinical reengineering and patient-family engagement including serving as the site-PI for the OpenNotes® initiative and Medicare Imaging Demonstration Project. Jon received his BS from Harvard College in Mechanical Engineering and his MD from the University of Connecticut School of Medicine. Jon completed his Internal Medicine Residency at Oregon Health Sciences University and his MPH and General Internal Medicine Fellowship at Johns Hopkins University. Jon has authored many published manuscripts including articles in the New England Journal of Medicine, and Journal of the American Medical Association. Dr. Darer currently serves on the National Quality Assurance Committee on Performance Measurement.